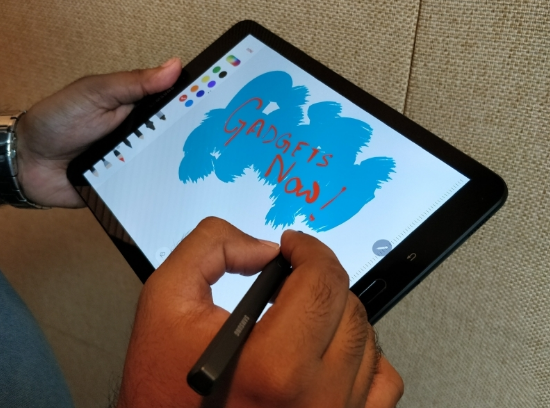 Indian smartphone and tablet maker company Swipe Technology has launched its new tablet. The company has loaded it from the Swipe Slate Pro model. It has a 10.1-inch HD (1280x800 pixels) IPS display screen. This tablet comes with 4G support, which is priced at Rs 8,499. This is a new version whose earlier model was launched from this model name in December 2014. This new version has been brought in the champagne gold color variant. This new model has been brought with the 5000mAh battery. Swipe Slate Pro (2017) has been made available exclusively for Flipkart for sale. Customers are also offered NO Cost EMI for this. Swipe also termed this new tablet as one of India's most economical 10-inch display tablet. This 4G support tablet has dual SIM cards. This is a voice calling tablet with VoLTE support. This tablet works on Android 6.0 Marshmallow. It has 2GB RAM, 1.1GHz quad-core processor and 16GB internal memory. It has a microSD card of up to 32GB. For photography it has a 5 megapixel camera with LED flash in the rear. While the front has a 2 megapixel camera. As a connectivity feature, it has 4G VoLTE in addition to Bluetooth v4.0, Wi-Fi 802.11 a / b / g / n, 3.5mm audio jack and Micro-USB. It is equipped with 5000mAh power battery. This battery is the second USP of this tablet which is going to attract customers who want a tablet with more battery backup. At the same time, despite the so many merits, it is also a specialty to attract such a low price which is going to entice customers.